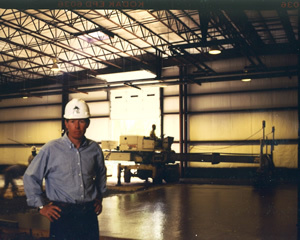 Thessen Concrete Contracting is an independently owned company that was founded by owner Perry Thessen. Thessen Concrete Contracting is based in Bowling Green, Kentucky and has made a commitment to its small town values. Thessen Concrete has also dedicated itself to staying current on new market trends and advances in equipment and then passing on this information to their customers. Thessen Concrete Contracting specializes in Shrinkage-compensating concrete. Shrinkage-compensating concrete allows for joint spacing of over 150 feet and are free of cracks and curling which are the bane of conventional concrete floors.